The first gallery of photographs from the North American Thebaid Project is online, featuring some four dozen images taken at St Tikhon’s Monastery in South Canaan PA.
Captions to follow, but you can get nearly a virtual tour of the monastery, and a real inside look at monastic life, including the divine services, veneration of icons and relics of saints, the monks living quarters and dining room (trapeza) and more. Also featured are links to learn more about St Tikhon’s Monastery, including videos and helpful instructions for visitors. Several brothers and sisters from church gathered around to add their prayers, and it was quite a moving moment. Simple, brief, yet in accordance with the Church’s tradition of beginning every good work by seeking the Lord’s blessing. As always, thankful for, and asking, your continued prayers and support for the North American Thebaid Project! For the occasion of the thirtieth anniversary of the repose of Fr. Seraphim Rose on Sept. 2, 2012, hundreds of faithful pilgrims convened upon St. Herman’s Monastery in Platina, CA to remember Fr. Seraphim and offer prayers both for him and to him. The faithful gathered were a microcosm of the greater Orthodox world, with pilgrims representing the Russian, Greek, Serbian, Romanian, Bulgarian, and Georgian Orthodox Traditions, among others. Several moving talks were offered throughout the weekend by those who had known Fr. Seraphim personally, and those whose life were impacted by the testimony of his life and works. His Grace Bp. 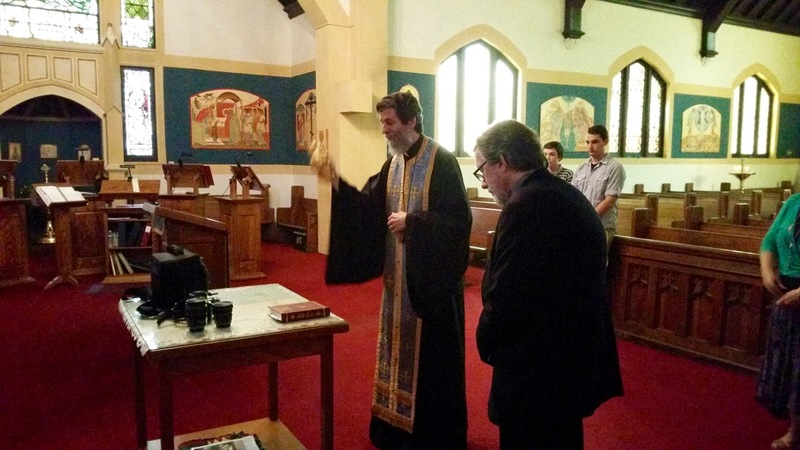 Daniil (Nikolov), Vicar of the Bulgarian Eastern Orthodox Diocese of the USA, Canadana and Australia spoke after the Saturday morning Liturgy on the eve of the anniversary of Fr. Seraphim’s repose, recalling how important and influential he was for young Bulgarians returning to the Church after the fall of Communism in the early 1990’s, and how much he appreciated Fr. Seraphim’s insightful critiques of the lie of our modern age. The following day a number of personal reminiscences of Fr. Seraphim were offered, before which Fr. 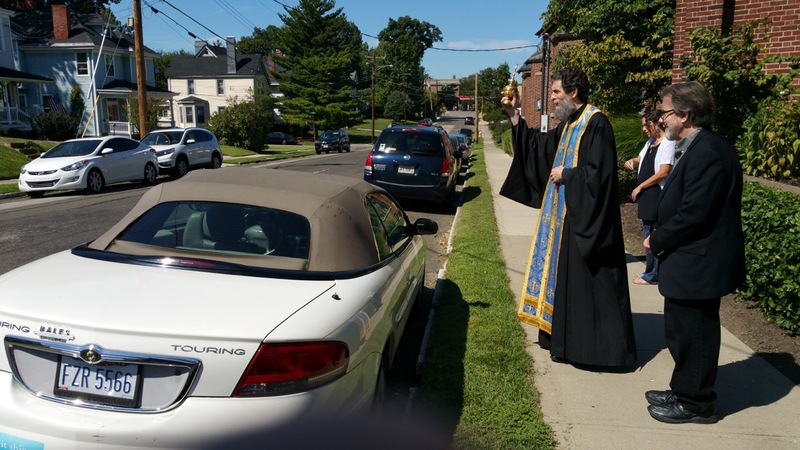 Damascene (Christensen), who is now the abbot of St. Herman’s Monastery, offered a reflection on Fr. Seraphim’s recently-discovered spiritual journal, highlighting his relentlessness in combating sin, and his emphasis on nourishing himself with the writings of the Holy Fathers. Fr. Damascene was introduced by then-abbot Fr. Hilarion. In these days of the feast of the Dormition of the holy Mother of God, we come here to this holy place to venerate and give honor to another dormition, of the ever-memorable hieromonk Seraphim Rose. The holy Mother of God bore for all of us her Son and God our Savior, and is blessed by all generations. Fr. Seraphim also contributed to my life and to all of ours here, and to those of many more people, and we come here to give due love and to receive his blessing. When I was making my first steps into the Church in the middle of the ’90’s of the previous century in the years after Communism, Fr. Seraphim was very popular among the new Bulgarian converts who were entering the Church for the first time. It was very unusual and surprising to hear from this place, where Western culture flourishes, someone who has a sober view, and who warns us of the dangers of this consumer society, and raising our children in such a way that they become small princes and kings, in whose hearts the passions are rooted from early childhood. 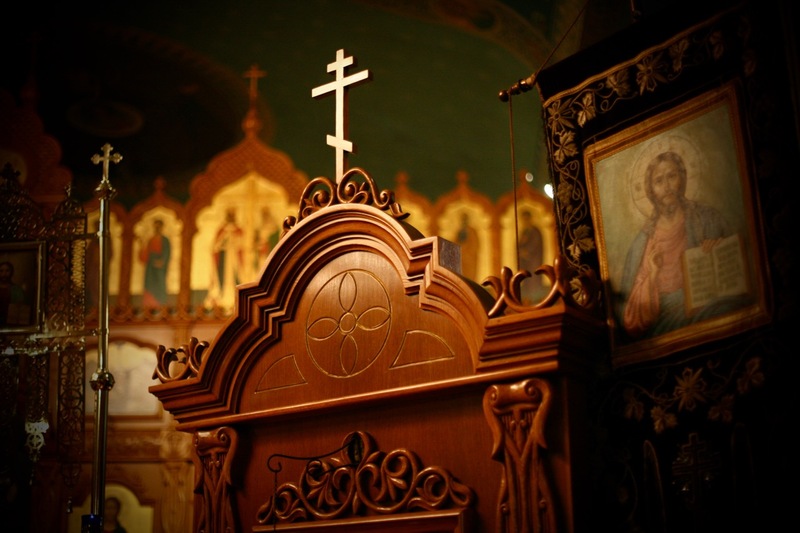 And all this not from a psychological point of view, but the Orthodox point of view—that the modern world makes the Chrisitan life more difficult and is so dangerous for the salvation of our souls. He was the very presence of Christ. Hieromonk Seraphim Rose is known the Orthodox world over as an ascetic struggler of our modern times. His writings and the testimony of his life have inspired countless seekers of truth to find their way home to the Orthodox Church, and to deepen their spiritual life within the Church, not only in America, but in traditionally Orthodox countries like Russia, Greece, Romania, Bulgaria, Serbia, Georgia, and so on. He gave himself wholly over to the Lord, in body and soul, in his monastic and priestly vocations, ultimately departing to the Lord in 1982 at the young age of forty-eight: He, being made perfect in a short time, fulfilled a long time (Wisdom of Solomon 4:13). 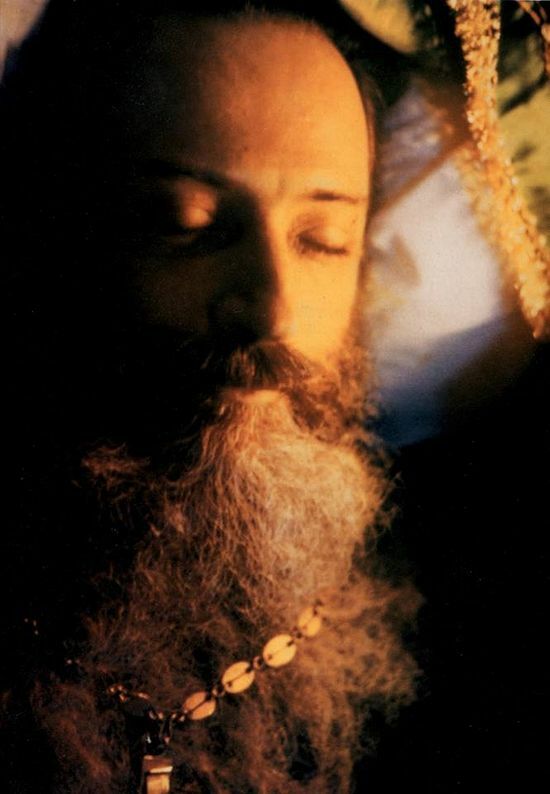 In the thirty-four years since his repose he has continued to inspire and uplift Orthodox Christians, now with the added benefit of his Heavenly prayers. 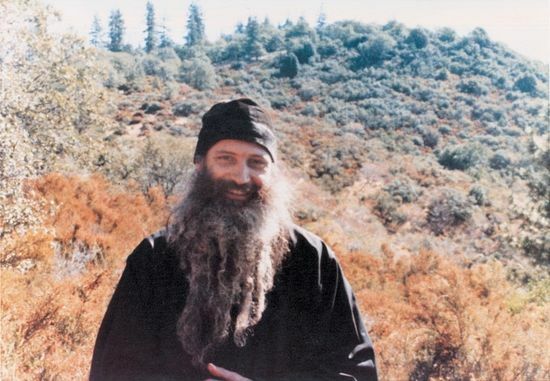 In this light, his monastery of St. Herman of Alaska in Platina, CA held a gathering in his honor over the weekend of Sept. 2, 2012, for the thirtieth anniversary of his repose. A host of pious, Fr. Seraphim-loving pilgrims came to pay their respects and to pray at his grave, including notably His Eminence Met. Hilarion, First Hierarch of the Russian Orthodox Church Outside of Russia, His Grace Bp. 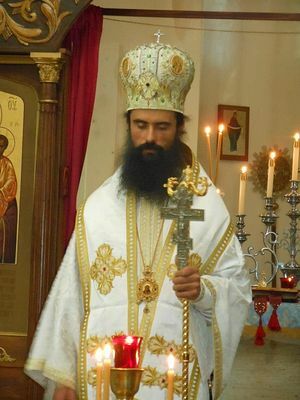 Daniil of the Bulgarian Archdiocese of America, Canada, and Australia, Archimandrite Luka, abbot of two monasteries in Montenegro, Serbia, where he named a kellia in honor of Fr. 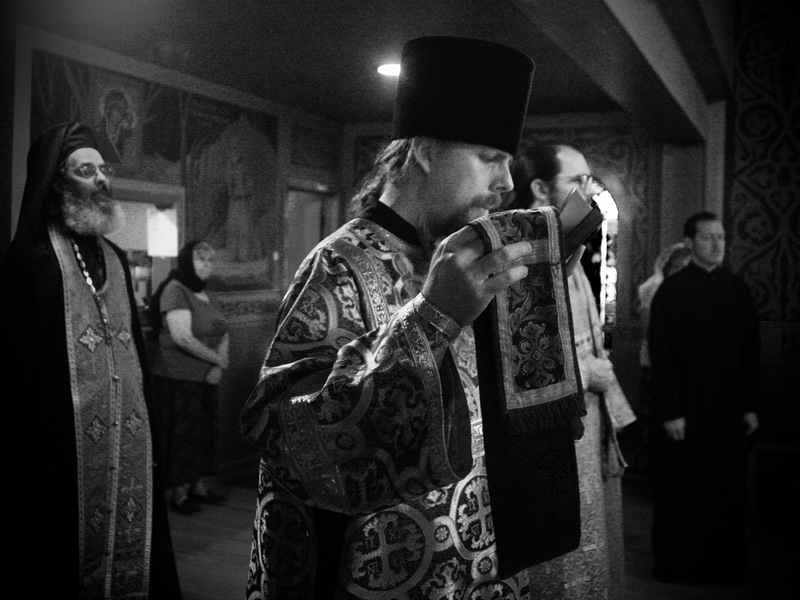 Seraphim, and Abbot Sava (now bishop) of the Georgian Orthodox Monastery of St. Davit the Builder in Wilkes-Barre, PA.
Additionally, many who had personally known Fr. Seraphim returned to the monastery to offer both prayers, and personal reminiscences about him. These words of those who knew him are valuable in that they show us simply Fr. Seraphim the man and monk, always concerned first of all for cultivating the Truth, and a loving Orthodox heart both in himself and in all those he came into contact with. His more theological works can and should be read in the context of the picture we are presented here, of a man of great spiritual depth and calmness, striving to give his all to our Lord Jesus Christ. His Eminence met Fr. 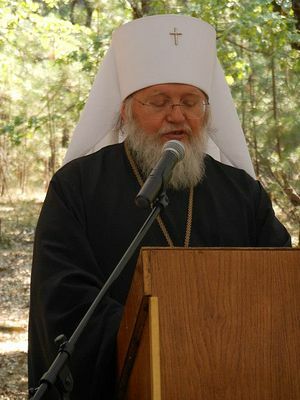 Seraphim twice in the days before his episcopacy, and also recalls how the brotherhood’s journal The Orthodox Word was so influential in guiding his life in the Church. Your Grace Bp. Daniil, Fr. Abbot Hilarion, fathers and brethren of the monastery of St. Herman of Alaska, brothers and sisters, it’s a great privilege and joy to be here with you on this historical event when we celebrate the thirtieth anniversary of the repose of Fr. Seraphim of blessed memory. I thank Fr. Hilarion and the fathers for inviting me to take part in the service, and give thanks to Bp. Maxim for his blessing. It’s a wonderful feeling to be here with you, all of us who greatly respect and love Fr. Seraphim. I thank Fr. Damascene for your moving words and we thank God that He has healed many wounds and that His blessing is on the work of this monastery and may God always take care of us and the work which all of you are doing. As Fr. Damascene mentioned, in Australia where I’ve been the bishop for fifteen years or so, our hieromonk Joachim Ross, who has a great love for Fr. Seraphim, organized an annual seminar in which guest speakers were invited to talk about his life or an aspect thereof, which has taken place for a number of years. I was once asked to share my recollections of Fr. Seraphim, even though they are not that long. I met him just twice, but I’d like to read some of those reminiscences which I shared at that time. Our Lord has a marvelous way of placing key people in the right place at the right time for their spiritual benefit. That’s the way it was in Old Testament times with prophets steering His often wayward chosen people along the path of righteousness, and in our New Testament Church, as St. Paul writes God has given the first place to apostles, then prophets, then teachers, and I believe that Fr. Seraphim was just such a teacher of Orthodoxy for others for our times. His great contribution and gift was that he was able to speak to the English-speaking world in a language which is clear, and not just to Americans, but to Russians too, because these same words were translated in a new way, and the people who had lived under Communism found this very refreshing and to be a very clear portrayal of Orthodox teaching on the way to salvation. When translated into Russia the writings of Fr. Seraphim instantly gained enormous popularity before the fall of Communism, and especially now that many of his books have been published in Russian, and in other languages as well. It was like manna sent down to the people in Russia who had been starving spiritually for so long, and to this day he remains one of the popular spiritual writers. I was fortunate enough to have met and heard Fr. Seraphim speak on two different occasions. I first met him sometime in the 1970’s. I was passing through California from visiting my relatives in Canada, and having corresponded with Fr. Herman and Fr. Seraphim, they invited me to stop by and visit the monastery. That was my first opportunity. The monastery was much more humble and small with fewer monastics but it made a very great impression on me, especially in conversing with Fr. Seraphim who was very humble and one could immediately see what a spiritual person he was. My second opportunity to meet him and associate with him at length was in December 1979 when Fr. Seraphim was invited to be the guest speaker at the annual St. Herman Youth Conference held that year at Holy Trinity Monastery in Jordanville. Fr. Seraphim was well-known by then and held in great esteem by the monks and seminarians. At that time he delivered an inspiring lecture on the topic of Orthodoxy in America and there was a lively discussion afterwards about how to live an Orthodox life in today’s world.